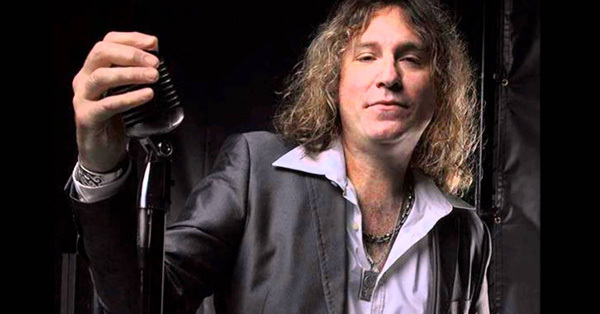 Warming up, knowing your instrument, and practicing relentlessly are among the singing tips from Saigon Kick’s Matt Kramer when it comes to delivering great rock vocals. Earlier this year, we published tips on delivering great R&B vocals with master singer and vocal coach Alvin Fields. While many of the principles that Fields discussed can well apply to any sort of healthy and expressive vocal performance, every genre has secrets and idiosyncrasies that make its singers sound unique. Take, for example, the wide world of rock ’n’ roll. Whether you want to growl like James Hetfield, soar like Bono, rage like Imagine Dragons’ Dan Reynolds, cut like Paramore’s Hayley Williams, or simply be amazing like Freddie Mercury, a bit of thoughtfulness, practice, and study can help you deliver great rock vocals while keeping your vocal cords healthy and able to survive the long haul. Matt Kramer made his name as the lead singer for the band Saigon Kick. The son of an opera singer, he’s an expert educator and vocal coach as well, and teaches at his Miami-area studio Kramer Voice Company. Here are some singing tips and strategies for producing great rock vocals from the master. To get yourself into prime racing shape, Kramer recommends starting low and working your way up. “If you sing with some grit, get some of that grit in there at the end of your warm up, but definitely not the beginning,” he says. “It’s like having an old car and warming it up on a cold day. Let it get to the right temperature and hit the throttle towards the end. Then you’ll be ready for whatever you need to do. Since your vocal cords are inside your body, learning about your own voice can seem like a mysterious thing — but Kramer recommends putting in the time to get familiar with every aspect. Learning your voice may seem like a broad mission, but it can be easily broken down. Does tensing or relaxing your shoulders affect your pitch, or your ability to get the breath you need? Take note of the answer for future rehearsals and performances. Does focusing on relaxing your jaw or throat help make singing painless, or do you get sore more quickly the more attention you pay to such things? Build your awareness of how your entire body works as part of your vocal performance. The legend of rock may indicate that rock singers should stay up and party all night and then get on stage and rage, but Kramer argues that the opposite is true. While there’s an element of wildness that can give rock vocals that extra edge, Kramer warns that even the most explosive performance needs to be tempered with discipline and consistency. This one is simple — if you want to be a great rock singer, put in the hours and practice like it’s nobody’s business, and don’t worry so much about which pair of sunglasses will make you look best under the spotlight. If gravel is part of your vocal sound, Kramer recommends learning, self-awareness, and practice to keep your vocals, and your body, strong. Think that rock vocalists are all about screaming, or that you have to growl like a chain-smoking tiger to be taken seriously? Think again, says Kramer. Some of the best rock singers sing with clean, undistorted tones. Just listen to Bono’s reedy tenor on U2 classics like “Mysterious Ways,” or Journey’s Steve Perry or Queen’s Freddy Mercury soaring on nearly anything they ever recorded — without any real growl to speak of. The lesson? When it comes to delivering powerful rock vocals, let your preconceptions of how a rock singer “should” sound go, Kramer says, and come up with something powerful, expressive, engaging, and unique that works for you. To the above point, if you are trying desperately to sound like Axl Rose or Chris Cornell and just can’t pull it off — stop trying. Disc Makers’ regular contributor Michael Gallant’s debut trio album Completely received a four-star review from DownBeat magazine and a five-star review from Critical Jazz, which stated: “This, my friends, is the future of jazz. Fresh, invigorating, progressive – there are simply not enough positive adjectives to list here.” Learn more, download through iTunes, jam along with the new JamBandit app, or purchase through CD Baby. Follow Michael on Twitter at @Michael_Gallant or on Facebook.